Did you wonder how your computer and browser connects to a specific server on the Internet only by giving it a human readable address, like www.google.com? There is an important link in the chain of connectivity between your computer/table/laptop/smartphone and servers on the net which is called DNS: Domain Name System. 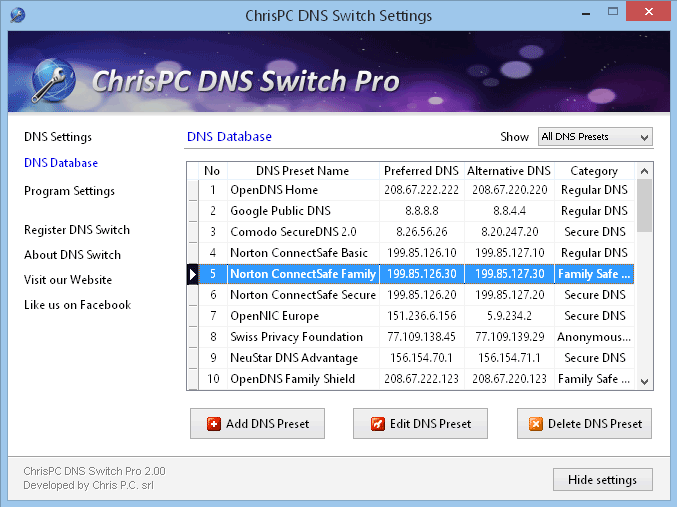 ChrisPC DNS Switch Pro continues the series of connectivity tools that are useful for a safe and anonymous Internet browsing. This tool makes DNS change more easy and faster giving you a series of options like choosing from preset groups of DNS servers the one that fits your browsing habits. 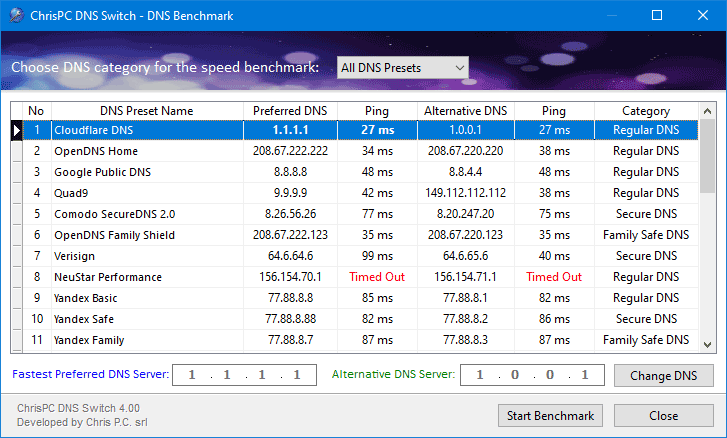 The new Version 4.00 brings a powerful feature called DNS Benchmark, that will let you easily find the fastest DNS. Also it comes with full support for the upcoming Windows 10 operating system. The software will make your life easier: You may want to protect your anonymity in which case you can select a server from the Anonymous DNS preset group list. Or you may choose to use Secure DNS servers that filter out websites that are potential threats to your PC (avoiding viruses, malware, trojans etc). 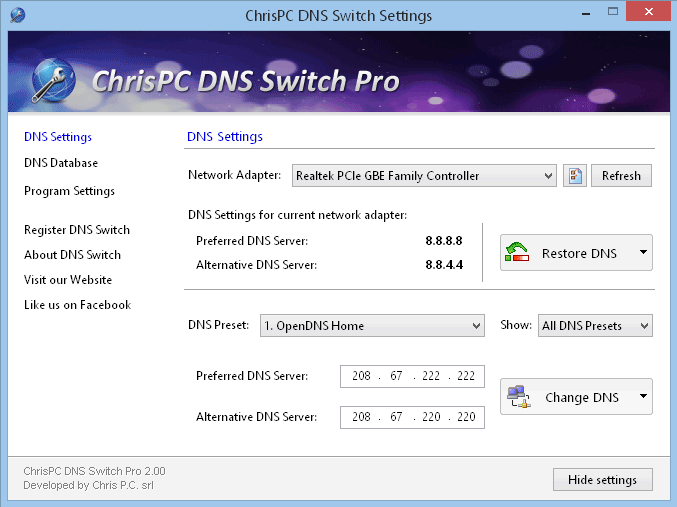 Being a completely free software for non-commercial use, ChrisPC DNS Switch is one of the best options on the market today to handle DNS management for those who care about their connectivity settings and are not satisfied with their default DNS server connection settings. Therefore we invite you to go for it, download it from our page and start using it on a daily basis. You will be impressed! What exactly is DNS ?